Canal-front villas in Gulf Cove Point are RARELY available. This maintenance-free villa sits on the east fork of the Sioux Waterway with direct access to the intracoastal. It offers 930 SF of air-conditioned peaceful living on this small peninsula. Ride bikes with the kids, walk Fido, or jog along the private roads without leaving the community. It's located walking distance to a large home improvement center & less than 8 miles to Manasota Key beach where you can kayak, swim or walk the barrier island trails off of Lemon Bay. Stump Pass Beach State Park affords visitors paddle boarding over the water home of the West Indian manatee. Prefer to swim in a pool? It's 6 miles to the Ann Dever Regional Aquatic Center offering lap lanes in their 25-yard competition pool. Golfing three courses within 3-5 miles. 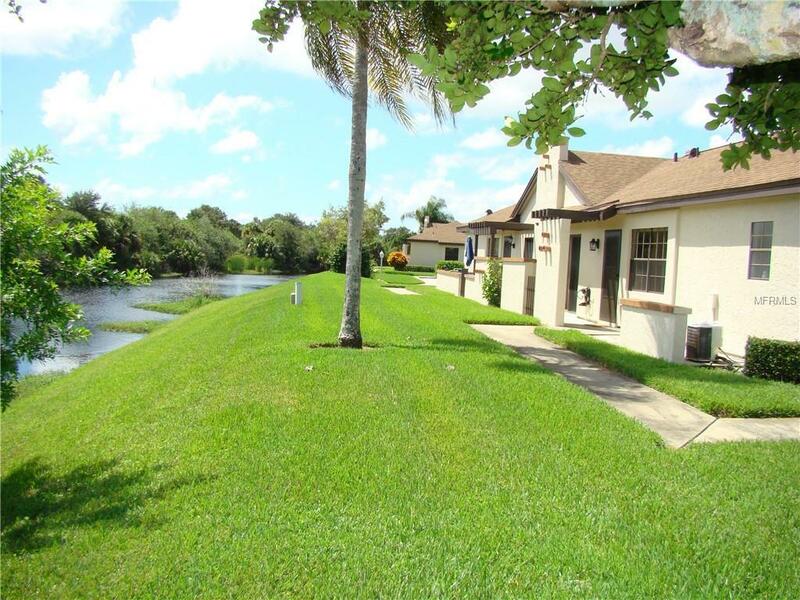 Fishing, do it right from your villa canal-front or access the Blueway Trails via public boat ramps. The quaint village of Englewood offers everything a larger town has and, in the other direction (9 miles), Port Charlotte is the larger town. New carpet, new interior/exterior paint, new hot water heater, new front door, new master bathtub/shower & granite kitchen counters. The lanai has been remodeled for extra living space. The villa comes with 2 parking spaces. You can put in your own custom dock and pier right in the canal. Gulf Cove Point where the SW Florida lifestyle meets the Myakka and Peace Rivers and embraces Charlotte Harbor - at a fraction of the cost elsewhere. Additional Water Information A Dock Or Pier Construction is Allowed And is Permitted By The County. Additional Lease Restrictions Tenant Must Submit An Application And Fee And Be Approved. All Rentals And Leases Must Be Approved By The Association. Trucks Under One Ton Are Allowed. Rvs And Boats Aren't Allowed To Be Parked Except For Active Loading/Unloading Not More Than 4 Hours. Amenities Additional Fees Also included in The Quarterly Fees: Flood/Hurricane insurance maintenance Of Building Hedges Irrigation And Maintenance Of Lawns Exterior Front Walls And Front & Rear Gates. Pet Restrictions Tenants May Not Have Pets. Owners Are Limited To One Dog Or Cat No More Than 20 Lbs.